The 22' Hazardous Slide is a toxic drop of its own as you slide through hazardous muck to reach the pool at the bottom! 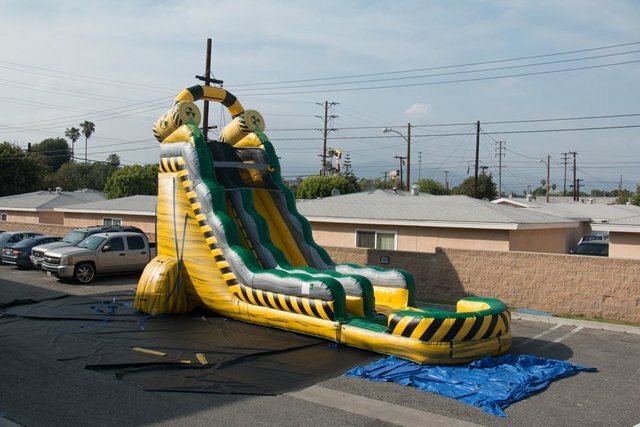 This 22 foot tall unit combines the fun of our inflatable single-lane water slide and inflatable slip 'n slides into one exciting water experience. Riders emerge from the hazardous area at the top to plummet 22-ft, launching towards the pool below. This ride is sure to be toxic one! Reserve for your party today!